One of the best—if not the best—performance mods you can make to your bike is to fit lighter wheels. We sat down with Dymag CEO, Chris Shelly, to find out why. Chris Shelly is the man behind the resurgent Dymag brand as they try and push harder into the U.S. market. I’ve lost count the amount of times I’ve seen riders throw 10’s of thousands of dollars at their engines but touch nothing to do with the chassis. After all, horsepower is always king in motorcycle modification, until it isn’t. Most riders will then start looking at suspension, brakes, etc, but few riders look at the round things that are the final parts in the power equation. No, not the tires, but the wheels. Modern sportbike cast-aluminum wheels are very good. Far better than what we had 20 years ago, but what if we looked at fitting forged aluminum or, better yet, carbon-fiber wheels? Those of us to have gone on a successful diet will know the benefits of weight loss. Better agility, less fatigue, better looks. The same is said for motorcycle wheels. Take weight off—in this case un-sprung weight (the weight not supported by the motorcycle’s suspension)—and you have a bike that’s lighter on its feet, turns quicker, stops faster and, most importantly, accelerates harder. One of the biggest names in the aftermarket wheel business is British firm, Dymag. They’ve been around since 1975, at a time when having lighter wheels was an even bigger advantage than what they are now, and have competed and won in everything from MotoGP, the Isle of Man TT, to Indycar and Formula One. CEO Chris Shelly is a man obsessed with lightness and is in his second term as Dymag’s head after first running the company in the mid-’90s. He’s seen the company go from on its knees during the GFC to employing over 30 people, with OEM car contracts as well as numerous motorcycle-racing teams across the world. Cycle News been using the UPX7 wheels on our Project Kawasaki Z900RS, which weight nearly 30 percent lighter than standard. Tell us the story of Dymag. How long have you personally been involved with Dymag? I got involved with Dymag at the back end of 1993 and I was there until early 1997, which is when I ran the company when we were pretty much the company was dead then and I resurrected it. We brought ourselves back into all the IndyCar stuff, which we did very well in. We got ourselves back into bike racing, especially with the TT and British and World Superbike, and then I left. We developed the first three-spoke carbon-fiber motorcycle wheel while I was there. I left in 1997, and then when the company went into liquidation in 2009, I picked it up out of liquidation. We spent the first five years just focusing on bike racing, which has got us back to where we are. We went from about four people to about 36 people now. We’re doing very well with the bike stuff, but what we’re now looking to do is to get all the car stuff going. It’s a big challenge. During research for this interview, I noticed you were talking about new composites within building wheels. Are you guys exploring new avenues, different materials for building wheels? Yes. In 2000, we basically carried on with a few modifications, making the range of carbon and forged-aluminum wheels that we had previously made, where we made them a bit better, stronger and lighter. In 2014, we realized the old Dymag technology, which was bought out by a German/Austrian group, was starting to be used on BMW cars. We had a couple places in Australia called Carbon Revolution, which started to make carbon car wheels, and BST of South Africa also make carbon motorcycle wheels. So, I realized that somehow, we created the multi-carbon market in mid ’95, ’96, effectively the first commercial bike wheels followed by the first commercial car wheels. We needed to get back into it. But that meant we couldn’t make the wheels we had, because it was very labor-intensive, very highly skilled, and very low levels of capacity. We had to change the way we made carbon wheels. So what we have done, we have now developed the car-wheel manufacturing process that we previously used, and we’ve been working with the National Composite Sector, which is a UK government-funded R&D center for composites in Bristol, about 25 miles from our factory. The UK government gave me about 10 million U.S. dollars’ worth of grants and loans to work with the National Composites Center to develop a new wheel design, which we’ve patented, as with the car wheel, and to help the new manufacturing process, which we are still developing but we’ve done a lot of work on. Now we’re going to bring across all the stuff we’ve developed with the car wheel for the last three, four years in terms of manufacturing and design back into the next generation of carbon bike wheels. Do you guys have partnerships with motorcycle OEM’s? Is there an avenue like that to produce wheels for high-end products directly for manufacturers? Currently, we carry the motorcycle stuff for racing and aftermarket. We’re not doing any OEM stuff. We don’t have that repeatability in the production process to meet their quality-assurance standards. It’s too much labor. The new process with the car wheels, which we’ve already started, has met several OEM’s requirements, and we’ve got several OEM projects under development. On the car side, we are already doing the OEM stuff. We are targeting moving into partnerships with major motorbike OEM’s over the next two or three years. We’ve got an idea who we want to target and who we want to work with. As you know, BMW has already developed their own carbon wheel on the HP4 Race, as has Ducati with the Superlegerra. We are looking to more so get into that over the course of the next 12-24 months as we get ourselves to proper serial production of our motorcycle wheels. 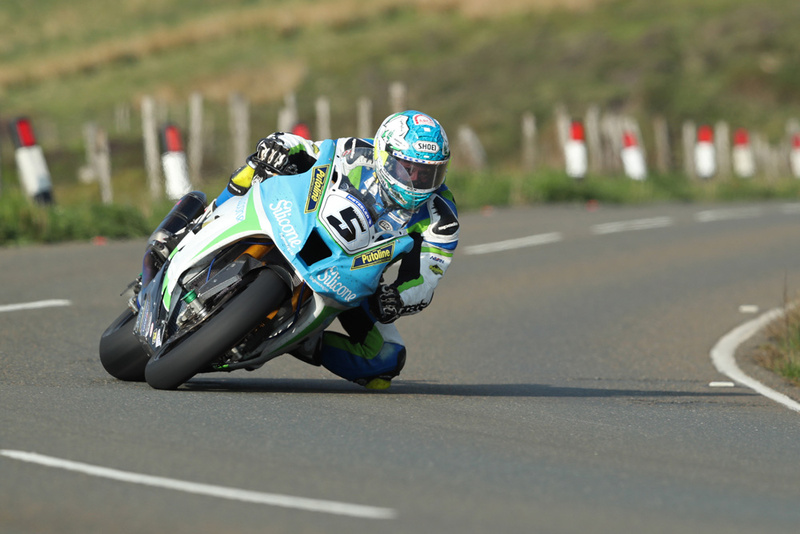 Dean Harrison has been using Dymags at the Isle of Man TT for years. Is the way BMW makes a carbon wheel different to how Dymag does it, or is it a similar process? I believe there’re two core issues in making any carbon wheel. One is how you put the fiber and what type of fiber you put into the dies. The second is do you use what we call prepreg, where the resin is already infused into the material, and then you put it in an autoclave and cure it, or do you resin-inject them. We use a resin-transfer molding technology, which means we lay out the fibers dry. We lay them out in the form of pre-fabricated material, what we call tri-axial or bi-axial materials, which are later dried into the die—this is the car wheel—the die is then closed and we inject. That’s called RTM—Resin Transfer Molding. That is our chosen technology for mass production. There is a prepreg technology, which is used for low-volume manufacturing. BST uses prepreg. It’s a good technology, but it requires autoclaves, which is capital intensive, and it’s also quite labor-intensive. I think what you’ll see now whether with car wheels and potentially motorbike wheels—the BMW wheel is going this direction as well—is a move towards Resin Transfer Molding. How long does it take to make a carbon wheel in total? That was one of the things BMW were very vocal about that they could pump out wheels quickly. How long would it take for you guys to make a wheel? There’s pumping out wheels very quickly, and there’s pumping out wheels really quickly. There are parts of the process that they clearly do very quickly. Our total process is very slow. It takes about eight hours per wheel, per die, to make a wheel today. But we’re about to transform that with the way we’re going to make our wheels, when we get them down to minutes. But then of course what you’ve got to remember is it’s not just about making the wheel. Then you’ve got all the finishing and the coatings and all the assembly stuff. That adds a lot of labor and time to the process. How have you found the take-up rate of aftermarket wheels in production motorcycle riding? Not in terms of racing, because racing it’s an obvious choice, but in terms of production bikes and street riding? I would say 75-80 percent of all our production is going into aftermarket for the carbon wheels, where with our forged-aluminum wheels we’re about 75 percent racing. There’re two reasons for that. One is that carbon wheels and magnesium wheels are banned at WorldSBK level. A lot of series around the world, like the TT, British Superbike, Japan Superbike, they’ve all banned magnesium and carbon on the grounds of cost. So therefore, forged-aluminum wheels are very, very dominant in racing, whereas in the aftermarket, people are looking for something different. Obviously, they’re more expensive, but that’s where we see people looking for the carbon-fiber wheel. The benefits are substantial but the costs are increased. Structurally, is the carbon wheel inferior to the forged aluminum wheel? No. It’s purely around cost. All the testing we’ve done on our carbon wheels proves our wheels are as strong or stronger than the aluminum equivalent, but between 25-50 percent lighter. We look around the marketplace and we have a lot of respect for what the BST guys do, they’ve got a really good product there. They’ve done prepreg technology, with low cost labor in Africa. They’ve done a good job. We left a big gap for a moment when we disappeared from the market, and they’ve really cleaned up. We’ve had to fight our way back into the market. We’ve done testing with guys like Jeremy McWilliams, the former MotoGP and WorldSBK rider. Our products today are as good as anything on the market, if not better. But they are very expensive to make and very labor-intensive. We don’t have any problems with the product design; we do have a problem with the way we make it in terms of cost and throughput. Are there avenues to be able to address that issue? Oh, yeah. We are going to move our production process into a Resin Transfer Molding process, the same as we developed for the mass production car wheels. We will have new carbon wheels coming soon for motorcycles. 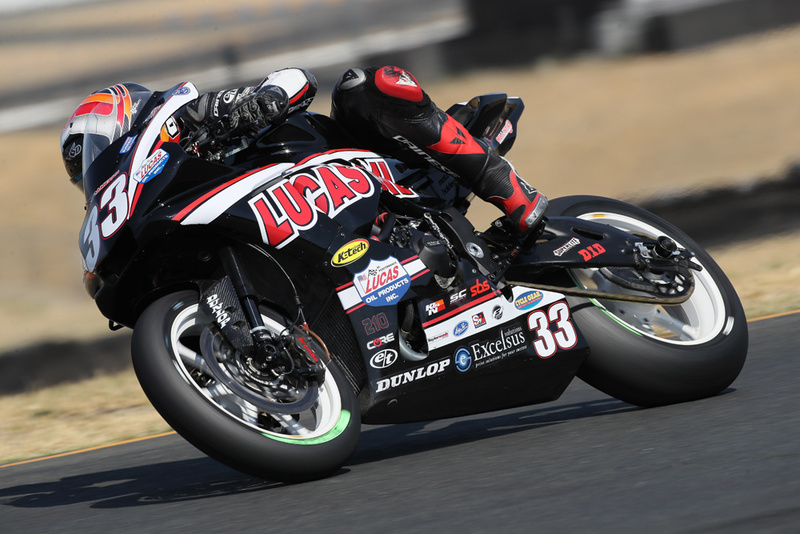 MotoAmerica Superbike privateer Kyle Wyman is one of the leading U.S. riders on Dymags. All this talk of carbon fiber and forged aluminum, what about the forged-magnesium wheel range? We’re getting out of magnesium production for the simple reason the costs are escalating, and the environmental challenges of making those products, surface treating them and all, means that they’re costing us more to make than carbon now. Forged wheels are obviously still in MotoGP, but we don’t make forged magnesium. You couldn’t make hollow-spoke wheels with forged magnesium. It means that the only product we could conceivably make in forged magnesium would be the CH3, but to be honest, we can make a very good, lightweight forged-aluminum wheel at a much lower cost. We will keep the CH3, which is the traditional Dymag three-spoke wheel from the ’70s and ’80s. It was the world’s first three-spoke magnesium wheel. We are going to keep that product, but we’re going to move it to forged aluminum. It will look, perform and weigh the same. Could you make a CH3 three-spoke in carbon fiber? That’s an interesting question. We haven’t looked at doing that per se. One of the issues with the carbon-fiber wheels for a lot of people is the style looks very important. The CH3 is a very old, classic design. Again, I’m not sure we could sell many of them with that style in carbon when the alternatives are much more aesthetically pleasing and technically better. Again, it comes down to market size, market trends. Why do you think a production customer would choose an alloy wheel over a carbon wheel? Do you think it’s just down to looks, or is there a major performance difference between the two? You’ve got your three core technologies, which are cast-aluminum wheels, forged-aluminum wheels, and carbon wheels. If you take car wheels and bike wheels, typically, if you go from a cast to a forged wheel, you’re taking about 15-20 percent of the weight out. If you go from cast to carbon, you’re talking about taking about 50 percent or more weight out. If you go from forged to carbon, you’re taking 25-30 percent out. It varies by design and style, but that’s roughly what you’re looking at. Magnesium has a very similar weight to carbon, but it doesn’t have the durability of carbon. And the costs for magnesium are going up, where the cost of carbon is coming down. So, the way I see this market playing out technically, the OEM’s are all moving towards forged aluminum as the standard away from cast, except for the low value bikes. Then with the upgraded packages will be carbon rather than magnesium. The proper technology will be forged aluminum and carbon. That’s why we’ve chosen those two technologies and so far, that’s proven to be a good decision. We raced our carbon wheel in the Endurance World Championship in 1997 and won the title. What it did was it massively reduced rider fatigue on these endurance races, but because World Endurance follows World Superbike, when they banned carbon from superbike they banned it in endurance. Unfortunately, that was a step back for those endurance riders because of the fatigue issue. We are considering bringing that three-spoke wheel back into production because a lot of people like the look. Can you explain in layman’s terms the benefits of lightweight wheels? Whether it’s a car manufacturer or a bike manufacturer, to get performance you’re trying to get weight out wherever you can. That’s a big driver. The reason why wheels are so much more focused on than any other part of the car/bike, is there’re three fundamental reasons. The first reason is the un-sprung mass, which means that everything above the spring suspension is static or sprung mass. The un-sprung mass is the tires, wheels and brakes. Taking weight out has a big impact on the rideabilty of the bike. When you go over a bump, the energy the bump generates is greatly reduced, thanks to the lower un-sprung mass. Therefore, the bike handles better, rides bumps better, absorbs much of the shock, and as a result, by reducing the entire weight of the vehicle you get a much better tire contact patch. There’s less energy for the bike to absorb. The second reason is it’s a big lump of rotating mass, which means it’s like a big disc. The heavier the wheels are, the more energy [torque] is required to accelerate the motorcycle, and the bigger the brakes must be to decelerate them. If you can reduce that weight, you reduce the moment of inertia. The bigger the wheels are, and particularly on the outside where the tire meets the flange of the wheel, the mass or moment of inertia [energy] increases exponentially as the weight moves out from the center of axis of rotation. As the wheels get bigger and heavier you need much more energy, and it’s a function of a square of the distance from the bearings, effectively. You’re having to accelerate this big, rotating mass. Thus, the moment of inertia is the second big issue. Then you have a third issue which is the gyroscopic impact. When you are going through chicanes and bends and cornering, the high-speed rotating masses/discs tend to want to pull you outwards. If you can reduce the weight of the high-speed rotating rear tire, basically you can flick through the chicanes and tight bends much, much faster, much quicker. The bike feels much lighter. It’s much more controllable. It’s got three key factors as opposed to a kilogram on a bike anywhere else, which is only about weight. Beautiful, isn’t it? Pikes Peak is one of the few races in the world that allows the use of carbon-fiber wheels. 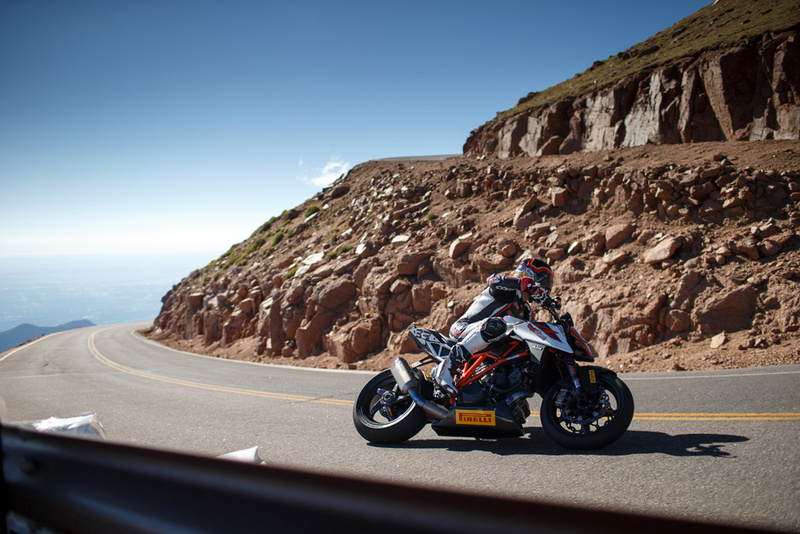 This year’s Pikes Peak International Hill Climb doubled as something of testbed, as we got a set of Dymag CA5 carbon-fiber wheels to play with (we also have a set of forged-aluminum wheels going on a Kawasaki Z900RS, stay tuned). Unboxing these wheels, it strikes you almost impossible something could weigh so little and still maintain the structural integrity required to safely negotiate Pikes Peak. Pikes allows teams to use carbon wheels, one of the few racing organizations to do so, so we laced them up with new Pirelli slicks and headed to the mountain. The initial feeling was one of sheer vagueness. The Super Duke was still running the same suspension settings we dialed in with the standard wheels, which was the absolute wrong direction for the carbons. The Super Duke would neither turn, stop or handle in anything like a confidence-inspiring fashion, and the more adjustments we made, the worse it got. We were nearly maxed out on our rebound damping circuit, and the bike felt wooden. Following a disastrous fourth run on the first day of tire testing at Pikes, I came back in and we took two turns of preload out of the fork, one out of the rear, and pulled the compression and rebound adjusters back to a medium setting. It took us a while to get the Super Duke handling correctly with the Dymags, but the lighter wheels eventually made a huge difference in how quickly the bike would change direction. From there, the softer settings of for Super Duke made for a much, much more enjoyable ride. Suddenly, with the suspension able to work and soak up the bumps better, the benefits of the wheels began to shine through. The KTM would change direction in the hairpins easier, but it still took a while to get my head around the overall feeling of lightness coming from the steering. The second day of tire testing, we had the settings somewhat in the ballpark. Team tech Nate and I just added a touch of rebound here, a click of compression there, and by the end of the day I was two seconds off my pole time from 2016 at a 4:16. The KTM got better and better with the Dymags the more we played with the suspension. By qualifying, I knocked out a 4:11.311 for pole, three seconds up on my 2016 time and was absolutely loving the new wheels. From the rider’s seat, the number-one feeling comes in the substantially increased agility and side-to-side performance. You can brake later and turn harder than before, and I feel the KTM pulls slightly harder from the bottom-end with less weight to shift forward. It’s a serious modification, especially for the money, and I wasn’t prepared for just how much the suspension would be affected by the fitment of carbon wheels. For sure, they are worth every penny, because bikes are so fast now it makes much more sense to take weight off rather than put money into the motor.